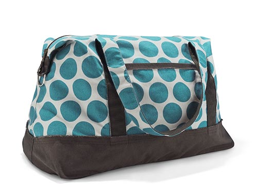 You may have heard of Thirty-One . . . I had - my friends have bags, they have had some parties, but I really didn't know what all the fuss was about until I got my first two bags a couple of weeks ago. 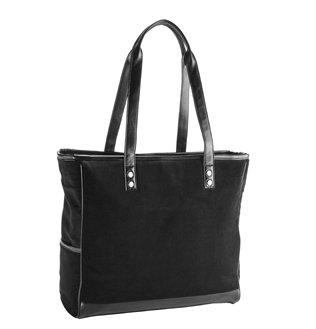 And this Cindy Tote which is a perfect fit for my phone wallet (in an outside, easy-to-reach pocket) and my laptop. Plus it's personalized to make it that much more "me"! Now, I get it. These are my two favorite bags out of the I-couldnt-tell-you-how-many in my house. Thirty-One is a company that does parties where you can earn FREE items by introducing your friends to the latest designs and patterns of Thirty-One to your friends and family. Or if you really love the company, you can become a representative for Thirty-One and make a great income sharing these with other people. I have a great representative that I work with and she would be wonderful if you need to place an order, have a party or sign up as a consultant. If you place your order TODAY, you can get additional bags for just $5 with every $35 you spend.